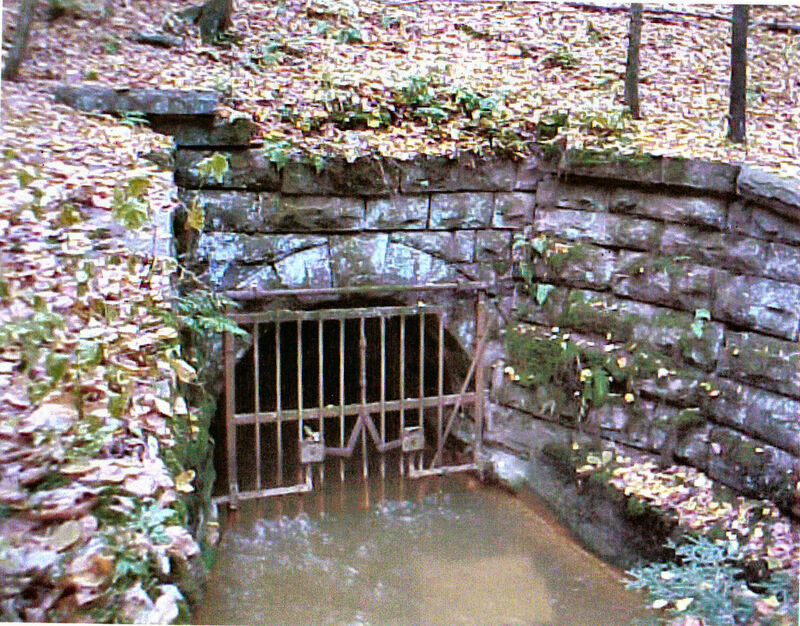 In the 19th century, over 24 mine shafts could be found in Neshannock Township in Lawrence County in western Pennsylvania. 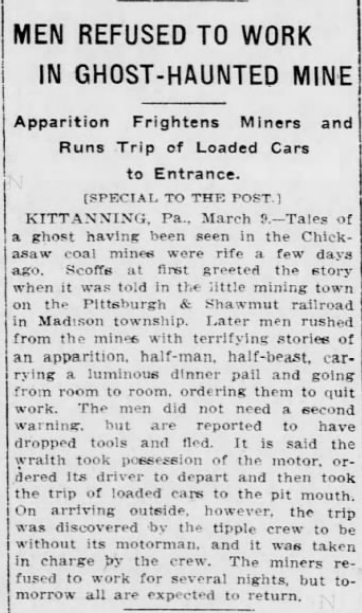 In the fall of 1898 it was reported that a ghost miner had been haunting the mines. The ghost would enter the mine with his pick and his lamp every night, work busily, and then emerge from the shaft each dawn-- before vanishing into thin air. Miners theorized that it was the spirit of Elijah Bowaker, a worker who disappeared inside the mines years earlier and was never seen again. It was believed that he was murdered. 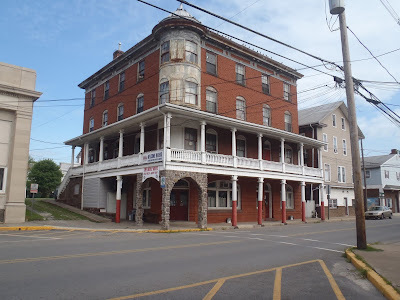 To this day there are many people who believe Summitview Drive in Neshannock Township is haunted. 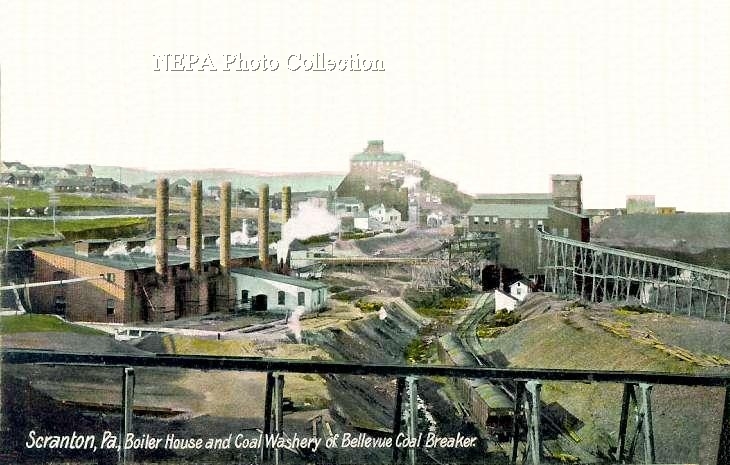 Situated atop long-abandoned mines that were first built in the early 1800s stands Coal Town Hill. 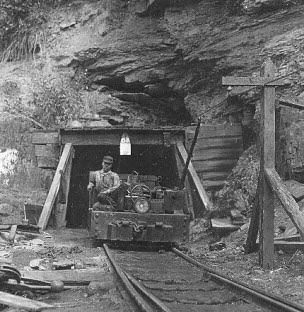 A popular local legend tells of youngsters who were playing near the mine entrance one evening in the 19th century when they heard blood-curdling screams coming from the mines. Could these children have heard the anguished cries of Elijah Bowaker being murdered? 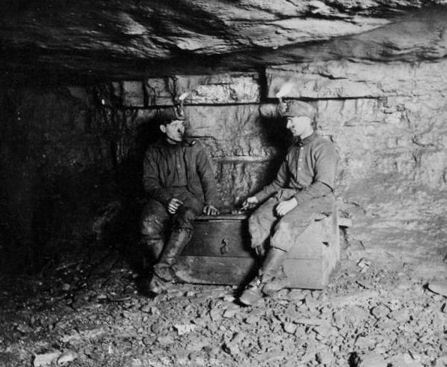 During the late 19th century, the mines of the Wyoming Coal Fields experienced an average of five fatalities each month. Records for 1872 show 67 fatalities. In 1875 there were 62 fatalities. Records for 1877 show 40 fatalites, and in 1879 there were 59 fatalities. Death did not discriminate by age; records show that the youngest victims to die in the mines and breakers were 10-year-olds Evan Jones (killed on November 1, 1879 at the Capouse Shaft), John Murray (1/6/1872, Tompkins Colliery) and Joseph Narey (1/16/1872, G.L. Mine). At the other end of the spectrum were Hugh Harmick, 69 (8/29/1872, Grassy Island Breaker) and Noah Morgan, 72 (Christmas Eve, 1875, Mt. 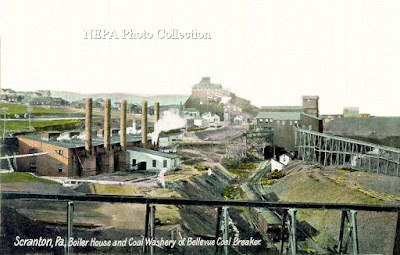 Pleasant Colliery). Pistols have been fired at him and, although many shots have passed through him, yet he seems invulverable to pistol balls. He has frightened the mules, driven men from their chambers, threatened individual persons, and produced a general consternation among the workmen. 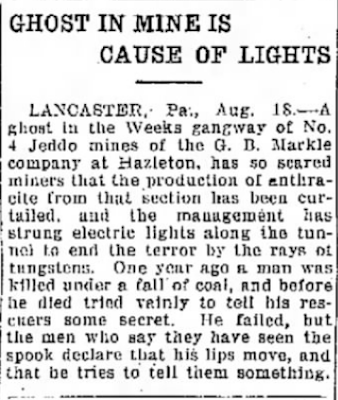 In November of 1906, miners refused to enter a portion of the Taylor mine owned by the Delaware and Hudson Company, fearful of a ghost described as a "hollow-eyed, white robed, luminiferous form of a man bearing a light that had no flicker". Several miners attempted to approach the ghost, but it was said to disappear whenever they got too close. Eager to get to the bottom of the mystery, a number of miners stationed themselves around the perimeter of the allegedly haunted chamber. The ghost soon appeared, floated around the ring of miners, and then vanished. 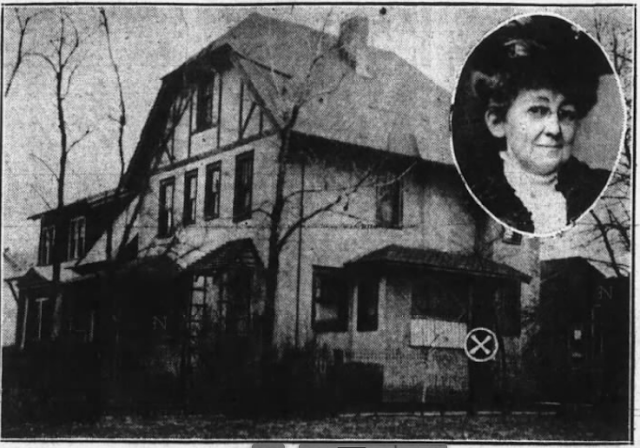 According to the Scranton Republican, the doubtful ones, now convinced, fled from the mine in terror. 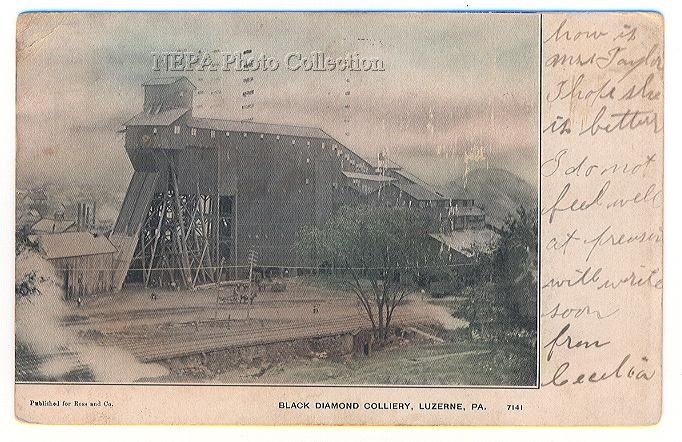 It took a lot of grit, courage and fearlessness to be a coal miner in the anthracite fields of Luzerne County. So when a miner ends up being confined to his bed from shock after seeing a ghost, there's a good chance that the apparition in question was pretty darn scary. And that's exactly what happened to a miner named Anthony Stenski on October 1, 1912. Stenski, who worked at the Black Diamond Colliery, was found unconscious on the floor of a chamber. He later claimed that he had seen a ghost whose fingertips glowed with fire. The flaming phantom scared so many workers that the mine was actually shut down for a day because nobody wanted to see the same apparition that Stenski had seen.